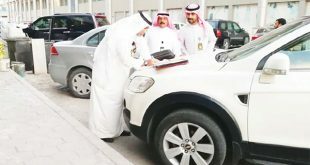 KUWAIT CITY, Sept 7: An extensive security campaign was launched in Hawally under the supervision of Interior Ministry Undersecretary Lieutenant General Sulaiman Fahad Al-Fahad with the participation of Assistant Undersecretary for Operations Major General Jamal Al-Sayegh and other high-ranking security officials. In a press statement, the Public Relations and Security Media Department in the ministry disclosed that the security officers who carried out the campaign were assigned to the exit and entrance points in the area at 6:45 pm in a bid to track down criminals. The officers also inspected areas suspected of being used for illegal acts and checked the identification documents of passersby to look into their status and criminal records. The campaign resulted in the arrest of 172 individuals – 20 involved in civilian cases, 28 who were reported absconding by their sponsors, 93 who failed to present valid identification documents, 30 who violated the Residency Law, and one involved in a criminal case. In addition, the officers impounded eight vehicles, discovered two vehicles suspected of being used in criminal activities and stopped a total of 680 persons for routine inspection. Man caught drunk: Police have arrested a 25-year-old Kuwaiti for possessing and consuming alcohol and impersonating police, reports Al-Anba daily. 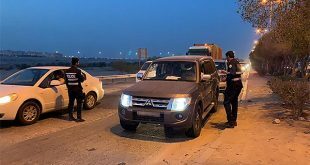 The suspect was arrested at a checkpoint in Salmiya. At the time of arrest he was disoriented. When he was confronted, he claimed he was a police captain and produced his ID, which turned out to be a fake. Smuggling guns: Customs officers at the Salmi border post have arrested a 35-year-old Kuwaiti for attempting to smuggle hunting guns and ammunition into the country, reports Al-Shahed daily. The suspect reportedly arrived at the post in a car from a neighboring country. The officers suspected him because he looked confused. After searching the vehicle, police found the guns in a secret compartment.